Santa Claus is coming to town! Santa will be making a guest appearance at Carriage Kia Saturday, December 5th from 5:00-7:00pm! Skip the long mall lines to see Santa and bring the kids by Carriage Kia! 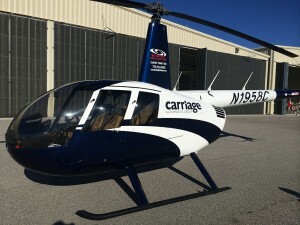 You will be able to watch Santa arrive on Carriage Auto Group’s own personal sleigh, the Carriage Helicopter! There will be tons of fun festivities going on at the dealership to keep the whole family entertained, including give-a-way prizes, free Uncle Maddio’s Pizza and beverages, and even the Humane Society of Northeast Georgia will be here giving you the opportunity to “Adopt your Christmas Puppy” and give a new furry friend a fur-ever home this holiday season! And the grand prize… 1 pair of tickets to the Amy Grant / Michael W. Smith Show! We will have some pairs of Six Flags of tickets to give away as well. Don’t miss out on your chance to win! Snow machines will be making it truly feel like Christmas this Saturday! Bring the kids for all of the fun holiday festivities so they can get their picture with Santa and play with some adorable puppies while you browse the lot, checking out some of the latest 2016 Kia cars, SUVs, and minivans!